Been slacking for a bit here, my apologies. 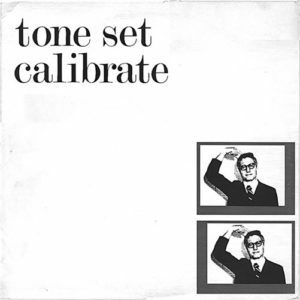 Skipping to the top of my imaginary queue is a fresh rip of Tone Set’s classic Calibrate mini-LP/12”, released on Valentine’s Day in 1983. I originally covered this band in 2007, back when I was posting only a handful of tracks and maybe a video or two, and it took eight years to track a semi-affordable copy of this gem down. Man, time flies! Click here for a refresher on this Arizona-based synthpunk band, who invoke the same spirit as Devo, The Units, Voice Farm, Oppenheimer Analysis, etc. It’s also worth noting here that the A-side features upbeat pop songs while the B-side features re-recorded versions of their earlier tape experiments. 5. What Good’s A Hit Song?